for $545,000 with 4 bedrooms and 3 full baths, 1 half bath. This 3,389 square foot home was built in 1987 on a lot size of 0.669 Acre(s). 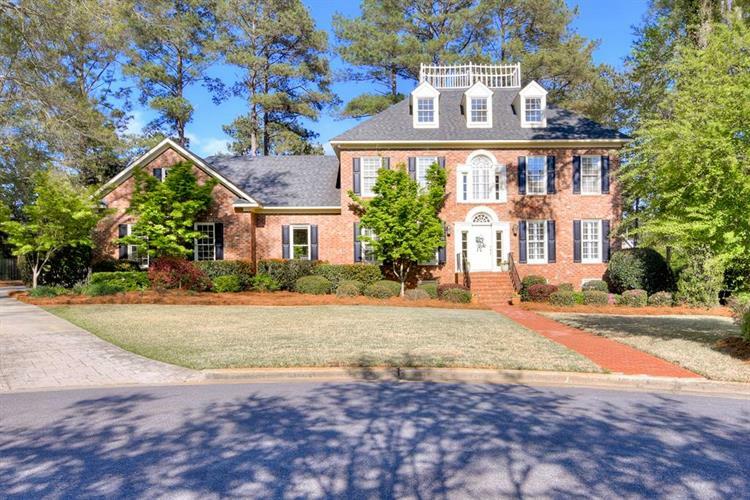 Stunning 4 bed, 3.5 bath, brick home offering privacy at it's best; behind the gate at West Lake and nestled on a large, .66 acre cul-de-sac lot! Natural lighting fills the the entrance with views into the gorgeous formal dining room, private office and spacious great room with gas log fireplace. Kitchen of your dreams! Stunning cabinets, color palette to peak your Pinterest heart, updated light fixtures, large island with gas cooktop range, stainless steel appliances, eat-in area lined with windows and views into your beautifully landscaped yard. Owner's suite is tucked away on the main floor with access to screened-in porch and offers ensuite with double vanity with granite counters and large tiled, glass door shower. Located on the 2nd floor, you'll find another large bedroom with private bath, 2 additional bedrooms, one with added finished space off the rear of the room(perfect for a playroom) & another full bath. Screened-in porch as well as huge deck for entertaining!